Meet Mr. Rohit Kumar, MBA #student from GNA University got placed in 'Justdial'. 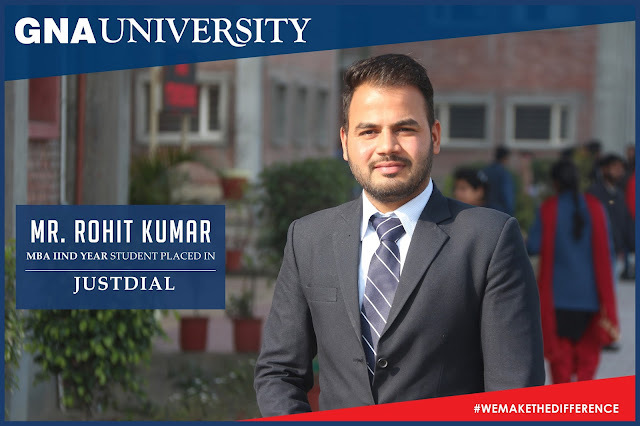 At #GU the talented and skilled #students get the opportunity to grab multiple offers from reputed #companies. Meet the talented students of #GNAUniversity who have a lot best on their plate to choose from and kick start their #career with their choicest.